View of upper floor chairs and stacks. 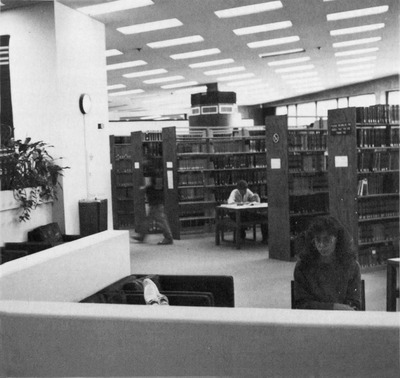 Includes view of chairs, stacks, and study table. 4 figures total.